The Rio Grande Valley’s three-man Congressional delegation is split on the future of their party’s leadership, as the U.S. House of Representatives will be under Democratic control for the first time since two of the three Valley members have been in office. Only U.S. Rep. Henry Cuellar, D-Laredo, elected in 2004, has been in Congress while Democrats have been in the majority. U.S. Reps. Vicente Gonzalez, D-McAllen, elected in 2016, and Filemon Vela, D-Brownsville, elected in 2012, have not experienced being in the ruling party. Nancy Pelosi, the congresswoman from San Francisco, and the Democratic leader, appears to be on her way to regaining the Speaker’s gavel once the Democrats take control of the House of Representatives in 2019 after reclaiming the majority in Tuesday’s midterm elections. But the South Texas delegation has some questions, and for one member, outright disdain. “I want to see some rule changes and I want to see the blue dog Democrats part of leadership,” Cuellar said, referring to the Conservative wing of the Democratic Party, which he is a part of. Vela flatly opposed Pelosi leading the House. Vela firmly opposes the border wall and any funding toward the construction of one. Earlier this year, Vela said he would not vote in favor of any legislation that included even $100 for a border wall. 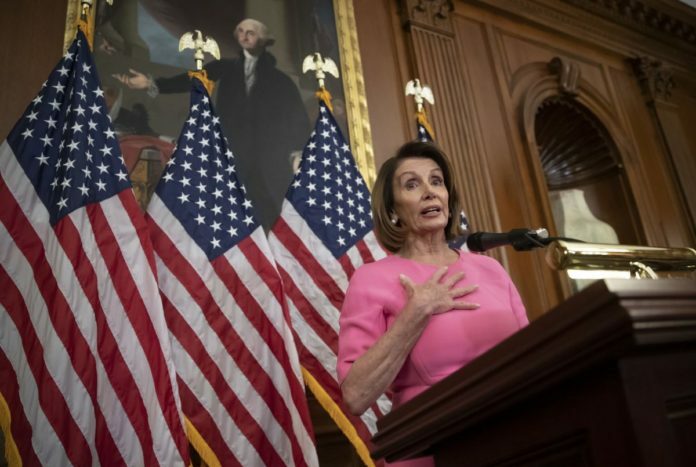 There is a coalition of Democrats, Vela said, who are signing onto a petition to ensure Pelosi does not obtain the speakership. How that will unfold is unclear. Gonzalez recognized that his friend, Vela, would not support Pelosi. And he understands his position. Gonzalez, though, was firm about supporting Pelosi, as was Cuellar, pending a few questions. Cuellar and Gonzalez both want to be able to bring amendments to the House floor, something they both said Democrats and Republicans should be able to agree on. “More amendments will be good,” Cuellar said. The two representatives also cited the DREAM act, a bill that would have provided a solution for the more than 2 million so-called Dreamers, as well as the 800,000 Deferred Action for Childhood Arrival recipients. In May, a group of House Republicans tried to find a way to force floor votes on immigration proposals. Ryan swatted those down. Gonzalez also wants to add a committee to his name. He currently sits on the Financial Services Committee, which does not allow for other committee appointments, unless you obtain a waiver from the speaker. He’s interested in joining the foreign affairs committee, he said, so he’s walking a fine line with Pelosi, or whoever the next leader is.